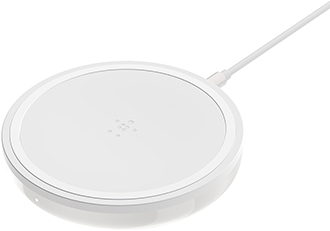 Optimal wireless charging for all Qi-enabled devices. Without cables or cords getting in your way, you can easily charge your device at high speed. 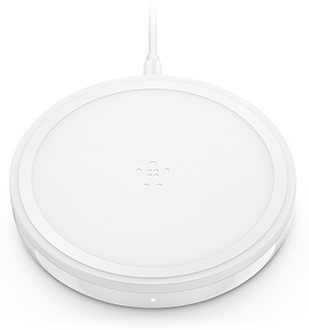 The BOOST↑UP Wireless Charging Pad offers up to 10-watt wireless charging to optimally charge your device. An LED light on the charging pad indicates when your phone is properly aligned for optimal charging. The charging pad works with most lightweight cases so there’s no need to remove your phone from its case to charge it. An LED light alerts you to objects on the charger that could affect charging (ie.keys). This helps prevent the charger from emitting unnecessary power.